Some Alberta farmers are in denial about weed resistance — and they’re in for a rude awakening, says a federal weed scientist. And while it may look like there are many options for wild oat control in the crop protection guide, that’s not the reality, Harker told attendees at the recent Controlled Traffic Farming Alberta conference. Group 1-resistant wild oat is increasing very quickly in the province. In random surveys, resistant wild oats jumped from 11 per cent of fields surveyed in 2001 to 50 per cent in 2014. 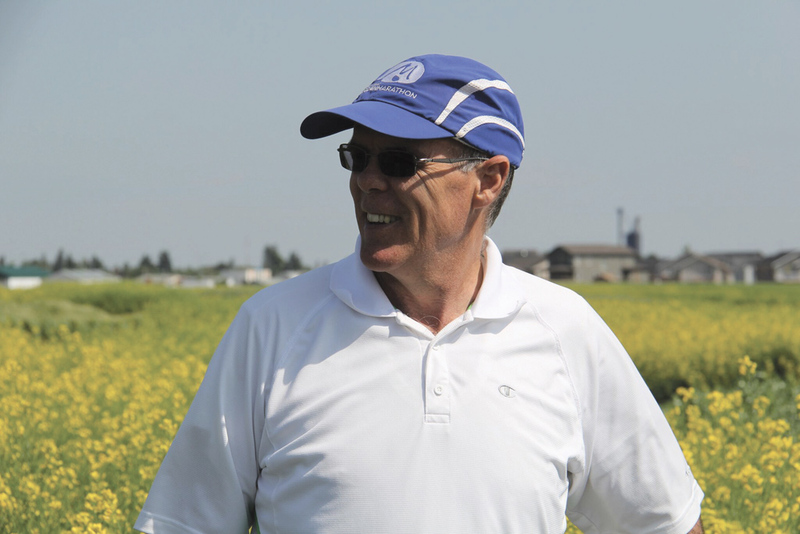 He pointed to a field monitored by Red Deer agronomist Dale Fedoruk as a harbinger of things to come. 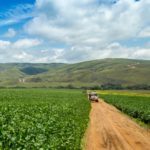 In a field history of 11 years, there was only one year that Group 1 or Group 2 herbicide-resistant seeds were not found. In eight of the 11 years, Group 1 herbicide-resistant seeds were found on the field. In 10 out of the 11 years, both Group 1 and Group 2 herbicide-resistant seeds were found. 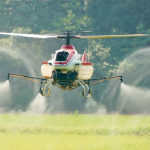 “There is not a single one of the major herbicides that would work on that field,” said Harker. He’s heard from other producers near Lacombe, Edmonton, and Olds who are facing similar problems. 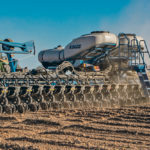 In some situations, there is almost nothing available to control wild oat populations, which means producers will have to resort to old chemistries, he said. 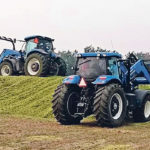 Shorter rotations and the decline in mixed farming (and hence the use of forages in rotations) are to blame, said Harker, who works at Agriculture and Agri-Food Canada’s Lacombe research centre. Researchers there are evaluating mechanical approaches to weed control. Many originated in Australia, which has the world’s most resistant weed species (rigid ryegrass). One of the Lacombe studies is a three-year evaluation of the CombCut weed cutter. Australia is also experimenting with techniques to reduce harvest weed seed populations, and researchers in Alberta, Saskatchewan, and Manitoba are conducting projects to look at chaff control and weed populations. In one technique used in Australia, chaff is put in narrow windrows and then burned. Australians have also developed chaff diversion, where chaff is put in a single spot to enable a mulching effect to kill weed seeds. Lacombe researchers will also be conducting experiments with the Harrington Seed Destructor this fall and are looking for area growers who would like to participate in the trials. While the original Harrington Seed Destructor — a pull-behind mill that pulverizes weed seeds — was very expensive, a new machine (called the Integrated Harrington Seed Destructor) is half the price. Another similar, less expensive, machine is the Seed Terminator, which uses a built-in mill in retrofitted combines to damage weed seeds. 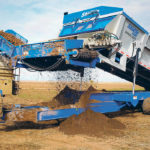 “These new harvest weed seed control options should be looked at seriously,” said Harker. But, he added, there are limits to this approach. “They are not going to be a panacea or a silver bullet for fixing things, especially for things like wild oats where we get 50 per cent seed loss before harvest,” he said.